1.New USB 3.1 Type C Connector. 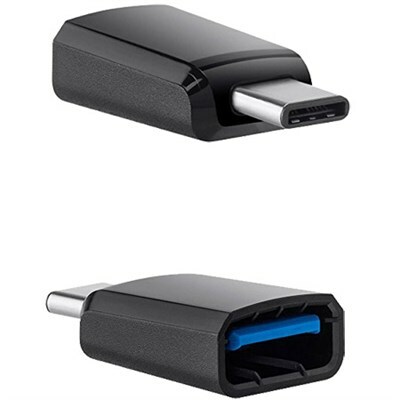 This Type C to USB3.0 adapter is designed to facilitate the connection of the traditional USB3.0 Type A devices to the USB3.1 Type C port of the 2015 12-Inch Retina MacBook, Google Chromebook Pixel and many other devices with type C port. With standard USB3.1 and USB3.0 connector, it supports faster transmission speed up to 5Gbps. Plug and play design. No external driver needed and without software installation. The Type C interface with 24pin terminal is symmetrical and reversible design makes the plug and unplug easily without checking the connector orientation. Based on USB3.0 technology, it is backward compatible with the previous version of USB2.0 and support OTG function. Adopted aluminum shell with silver edge, it is a good complement for your new type C port devices. Low-profile connector will not block your adjacent devices.